Author Tammy Lorraine Huerta Fender, “The Tex-Mex Princess,” releases a stunning biography of her late father, the legendary rock’n’country singer Freddy Fender. Huerta shares her family’s heartfelt, gripping stories of life with a musical icon. The book describes the many dimensions of an “ordinary man with extraordinary God–given talents.” A man who conquered all obstacles—including his own demons of alcohol and drug abuse—and achieved the great American Dream! This show and tell-all book is a rich tapestry of human drama and astute observations of social and musical history. Daughter Tammy traces Freddy’s journey—from an early life of devastating poverty as a child migrant worker to his spectacular success of the 1970s-80s and association with U.S. Presidents and renowned celebrities. 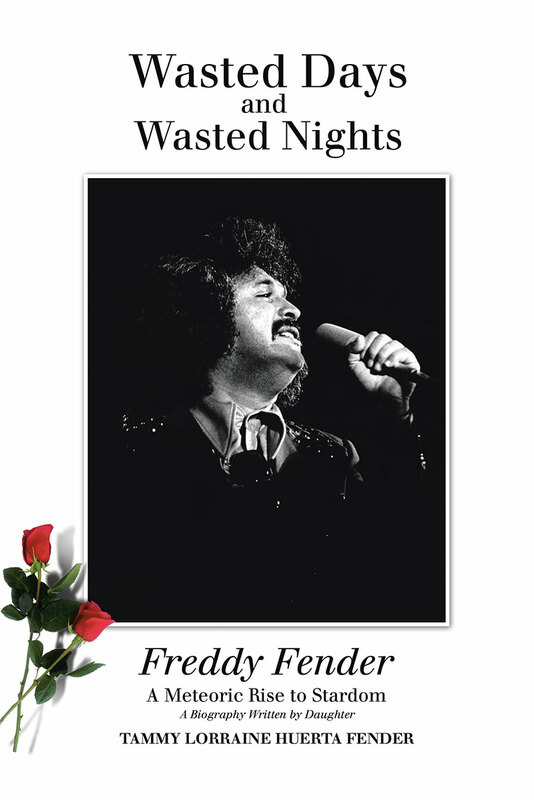 This bio is filled with epic tales and vivid photos that bring Freddy Fender back to life—it is a riveting experience and a book that cannot be put down. Freddy was a Mexican-American singer who rose from the depths of poverty, breaking free from a life spent picking cotton and rising to a life spent picking guitar. In his youth, in 1956, he was the first to record and sing Spanish rock and roll; he was known as the “Mexican Elvis” and called “El Bebop Kid.” In the mid 1970s, Fender would become famous literally overnight as a rock ‘n’ country megastar with his first two monster hits “Before the Next Teardrop Falls” and “Wasted Days and Wasted Nights.” Instantaneously, his records crossed over the Billboard country charts into the rock and pop charts, each rising to No. 1. He was given a Country Music Association award for “Single of the Year” and an Academy of Country Music award as “Most Promising Artist of 1975.” His voice and charismatic personality also made him a nationwide television celebrity in the ‘70s and ‘80s. The author has divided her father’s biography into two books. The first book explores his struggles as he achieves the great American dream. The sequel delves into the darkness of the addictions that ravaged his and his family’s lives, forcing Freddy to the realization that he needed a divine intervention. The story of Freddy’s ultimate healing and hard-won sobriety is a searing story of faith and redemption. The author states that in writing a frank, realistic book that tells the true story of her father’s life, she is honoring her father’s last wish; Freddy wanted an authentic, uncompromising book to be written about his life. And readers will see that his daughter Tammy has done just that, conveying in honest prose the tale of a child migrant worker with a passion for music who picked cotton, a three-string guitar and achieved the great American Dream.